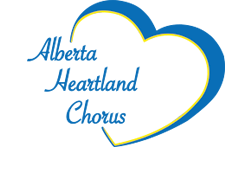 Joanne is looking forward to serving as communications coordinator for Alberta Heartland Chorus. She has been a Sweet Adeline for 25 years, has sung with two choruses and filled many positions. She was a member of the Regional Management Team for six years as Membership and Communications Coordinator. She is a past team leader, communications coordinator, show chair and administrative coordinator. She is the 'go to' person in this chorus and is always ready to listen and learn.